Mr Green – 10 Years of Entertainment | Week 12! 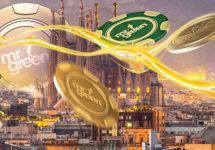 Win a share of 50,000 Free Spins on Fire Joker! 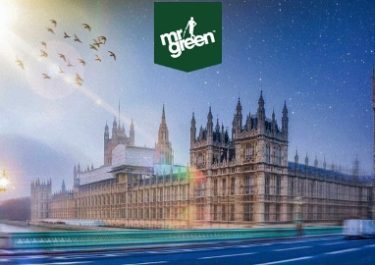 Plus, players still have time until 22nd Mach 2018 to crack the code of Mr Green’s Treasure Vault for a pure Gold bar weighing one kilogram. Imprinted with an unique serial number, the gold bar will be delivered to the winner’s doorstep with an authenticity certificate. This week, Mr. Green’s “50,000 Free Spin Spectacular” will see 250 lucky players winning 200 Free Spins on Fire Joker each, a thrilling slot from Play’n GO with a maximum win on a single spin of 800x bet. Earn one ticket to the Circus Draw for every €25 wagered with cash bets on Fire Joker. Tickets per player are not limited. On 23rd March 2018, Mr. Green will randomly draw 250 winners, each being rewarded with 200 Free Spins on Fire Joker, credited within 72 hours of the draw. 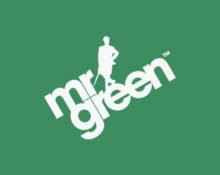 Wagering requirement is 35x FS winnings within seven days, subject to the Mr. Green bonus terms and conditions.